With more than 10 years Well know track record in Malaysia inkjet market. User friendly Plug & Play designed cartridge. 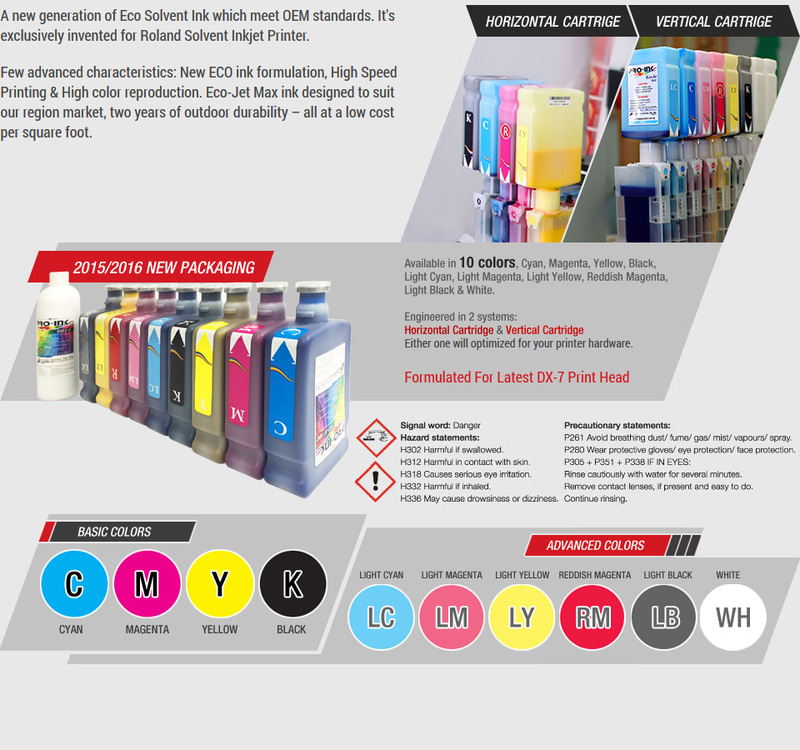 New ECO ink formulation suitable for High Speed Printing & High color reproduction. Eco-Jet Max ink designed to suit our region market with Up to two years or above of outdoor durability. Low Running cost per square foot. Light Cyan, Light Magenta, Lime Yellow, Reddish Magenta, Light Blck & White. Either one will optimized for your printer hardware.